Can my techs mark their call as "Ready to Post?" 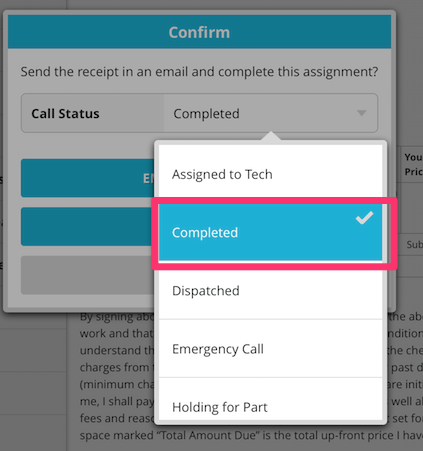 Yes, as long as you have the default Call Status of Completed (CM) as active. 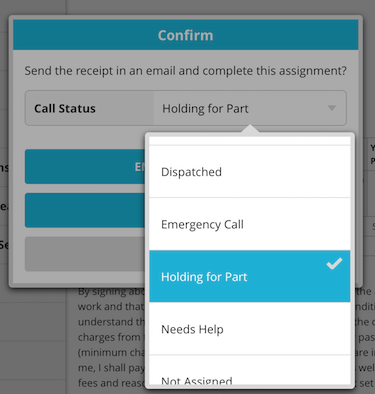 All assignments will default to Completed (CM) as their Call Status, so as long as they do not change this, SuccessWare21 will mark it as Ready to Post. 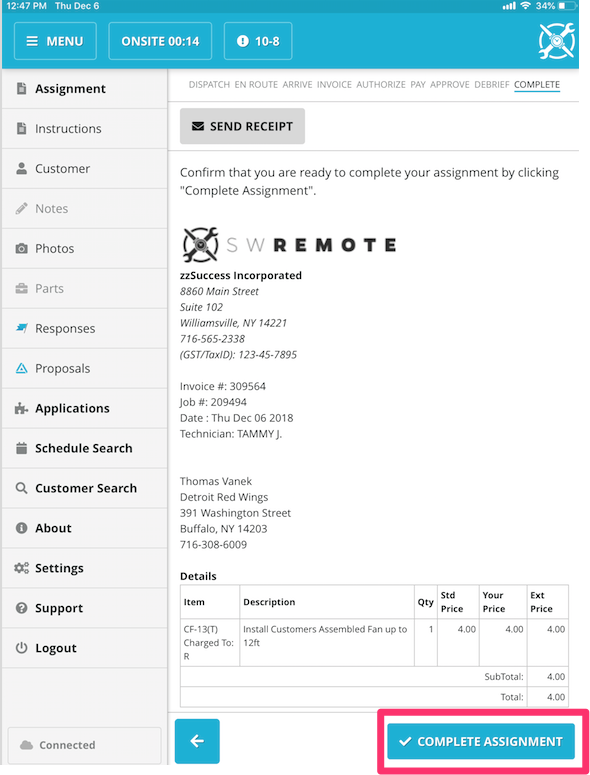 Below are steps to submit Completed from SWRemote. 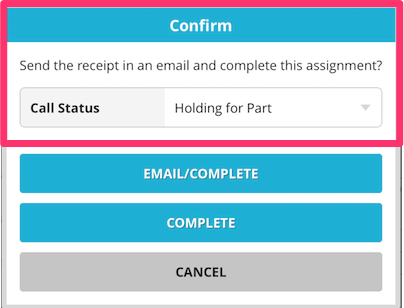 Once the Call Status shows Completed you can select either Email/Complete or Complete to close the assignment. **Note** Only the default call status of Completed (CM) can do this, if you have a custom Completed Call Status it will not work. 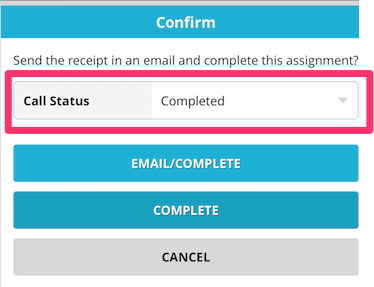 If you do not have the default Completed (CM) Call Status option, you can follow the instructions here to reenable it. If you do not have Ready to Post enabled in SuccessWare21, you can follow the instructions here to enable it.